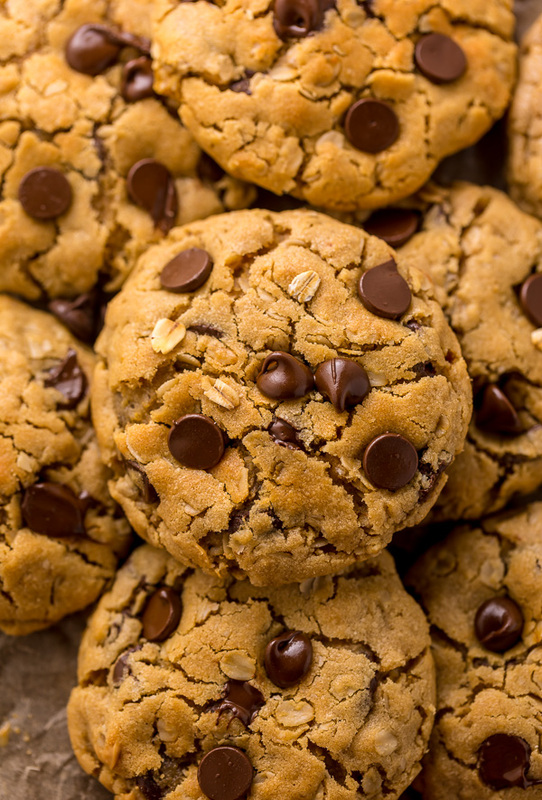 These Peanut Butter Oatmeal Chocolate Chip Cookies are so thick and chewy! 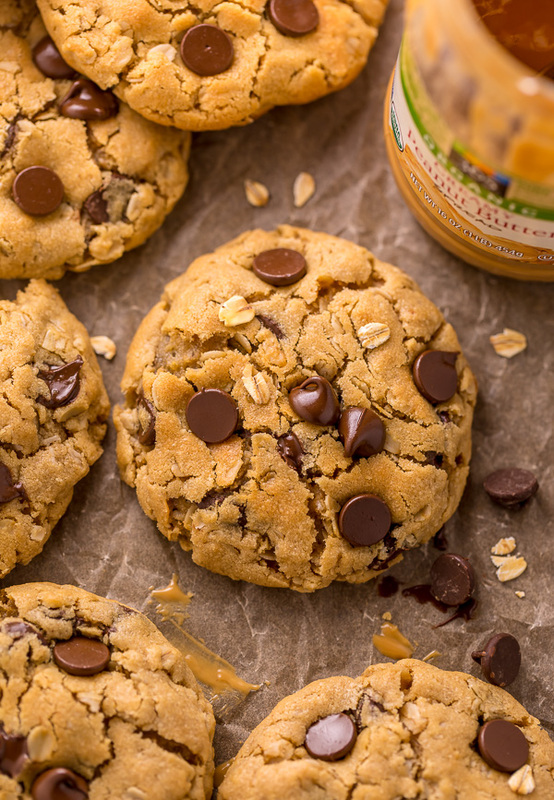 Loaded with creamy peanut butter flavor, old-fashioned oats, and chocolate chips, these are a must try for peanut butter lovers! You don’t have to chill the cookie dough, which makes this recipe quick and easy to bake. I’m not the biggest peanut butter fan, but once in a while I get a CRAZY peanut butter craving and literally put it on and IN everything. 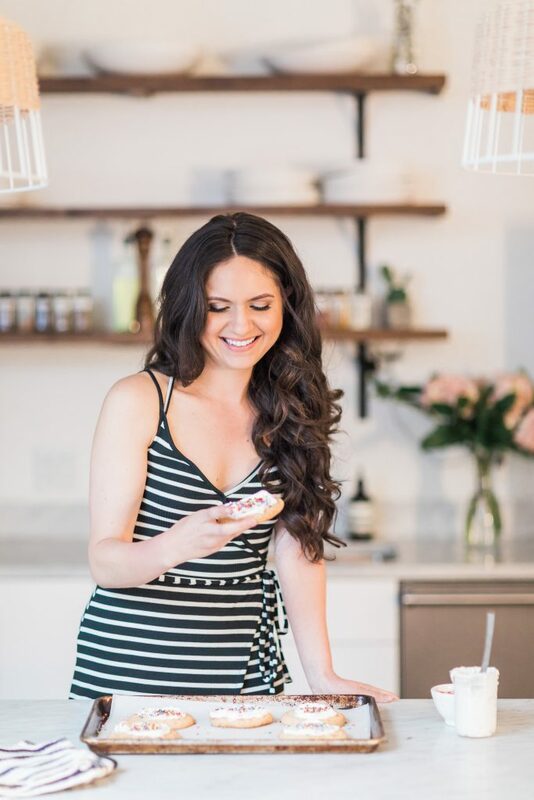 So I hope you’re ready for some new peanut butter recipes! Because last week we went through 10 jars of it! 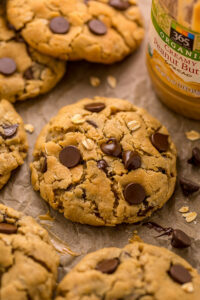 And created 4 brand new peanut butter recipes for the blog. I’ll be sharing them ALL this month, starting with today’s new recipe for peanut butter oatmeal chocolate chip cookies. I know you guys love cookies as much as we do! And these cookies are pure perfection. They’re a lot like my chewy oatmeal chocolate chip cookies… but even better (if you’re a peanut butter lover)!!! 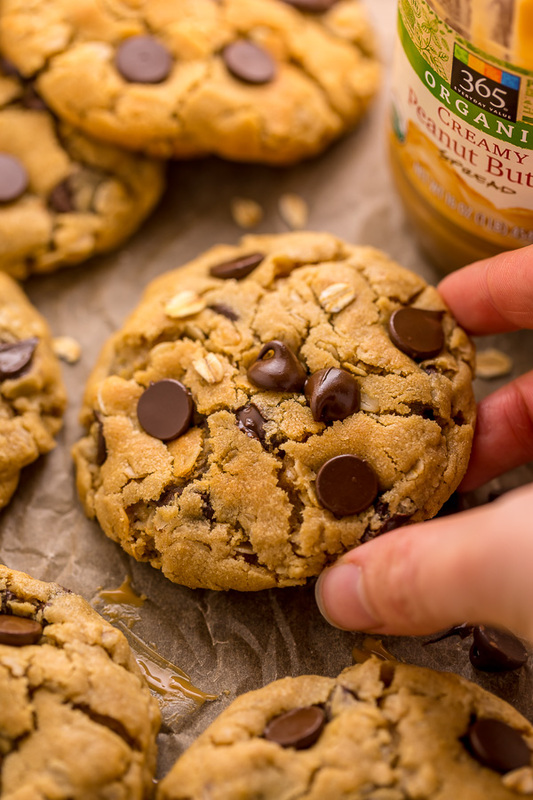 The cookie dough is actually packed with an entire cup of creamy peanut, which provides the cookies with an insane texture and SO much peanut butter flavor. Even my soon-to-be-hubby (who hates peanut butter) loved these cookies! I think that’s because the peanut butter flavor is really balanced and not overwhelming. Does that make sense? butter: unsalted or salted will work! but if you’re using salted, reduce the salt called for in the dry ingredients by 1/4 teaspoon. peanut butter: you’ll need a cup of creamy peanut butter! I suggest using a brand you know and love. I haven’t tested this recipe using crunchy peanut butter, but it might work! sugar: you’ll use a combination of brown sugar and granulated sugar. light brown sugar or dark brown sugar may be used. eggs: two large ones, at room temperature! vanilla extract: just a dash will enhance all the other flavors in this recipe. 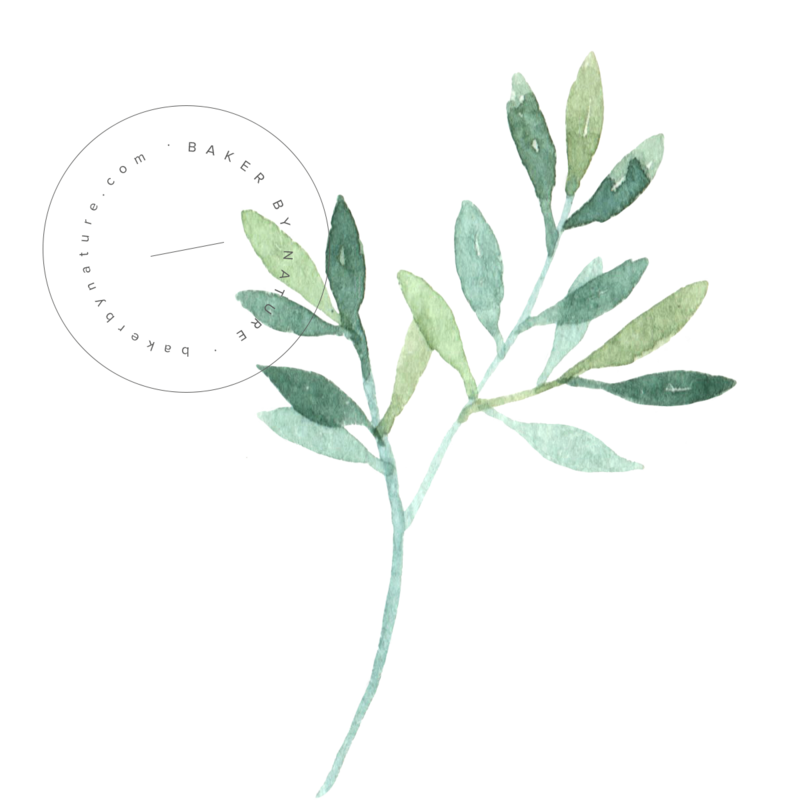 salt: to balance out the flavors. 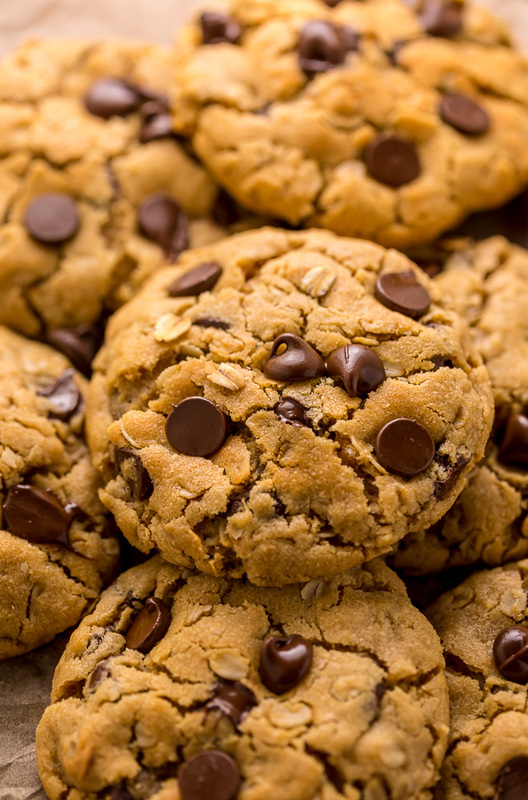 baking soda: helps leaven the cookie dough, which in turn gives us soft and chewy cookies. Oats: for this recipe you’ll need rolled oats, not instant oats! Rolled oats are also called old-fashioned or whole oats. Visually rolled oats are flat and round. Peanut butter fans will go nuts for these easy oatmeal cookies!!! Hope you love them as much as we do! 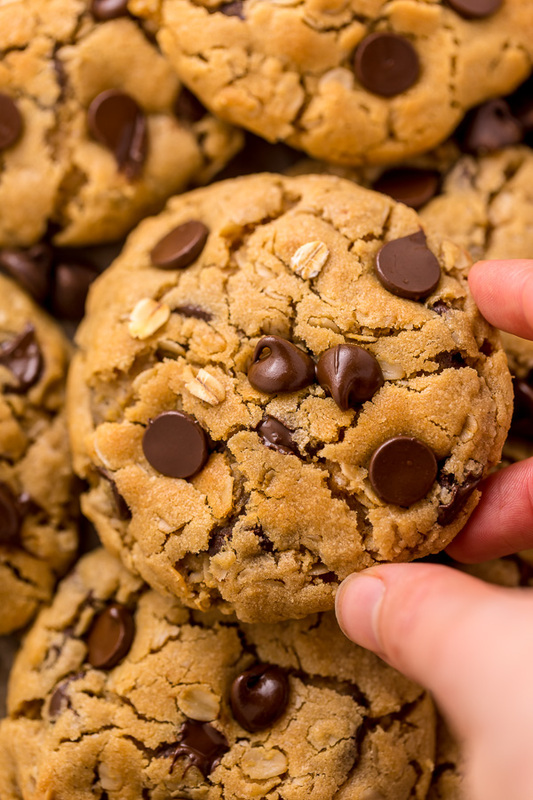 These Peanut Butter Oatmeal Chocolate Chip Cookies are so thick and chewy! 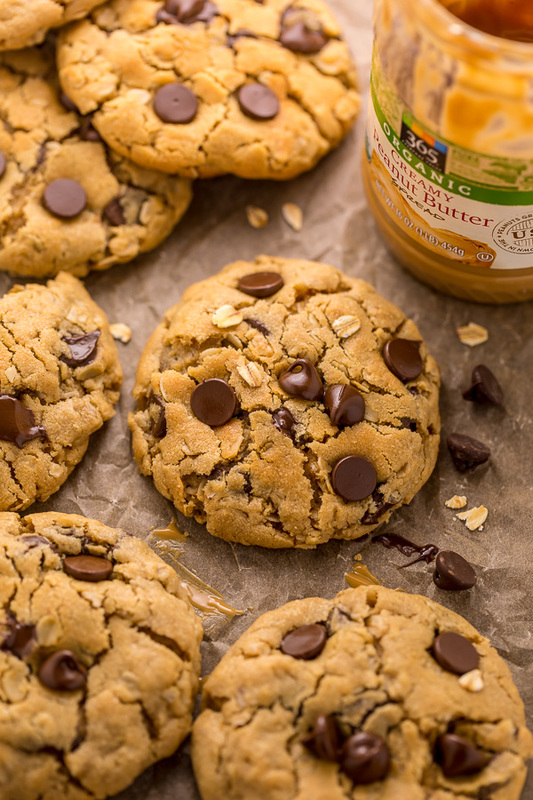 Loaded with creamy peanut butter flavor, old-fashioned oats, and chocolate chips, these are a must try for peanut butter lovers! You don't have to chill the cookie dough, which makes this recipe quick and easy to bake. Beat in the eggs, one at a time, scraping down the sides as needed. Beat in the milk until it's combined.